We’re on holidays in the Salento, a stunning region in the very south of Puglia, where the Ionian Sea meets the Adriatic. We came here two years ago and had such great memories of the place that we went back this year. But now, the magic has somehow gone. Local people have been carried away with the property boom that started a few years ago. Wherever there’s a potential plot of land, it is being advertised for sale. 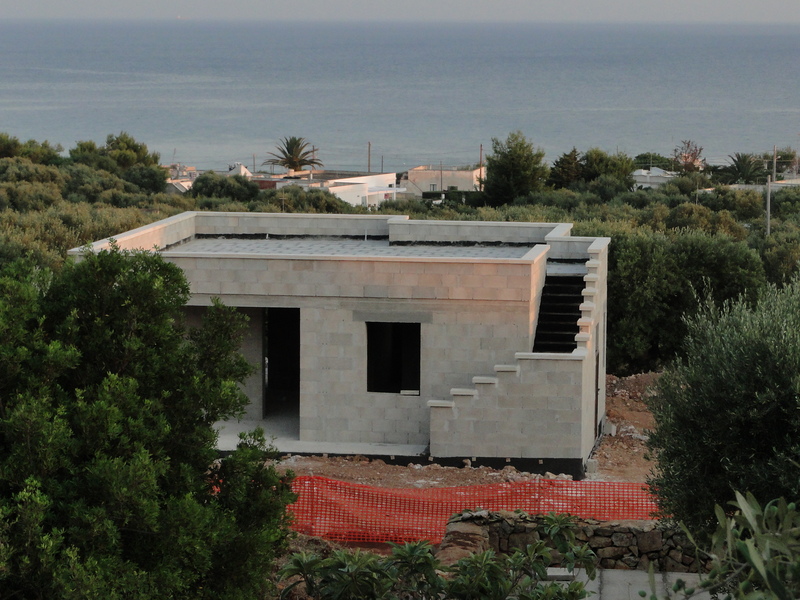 What was a beautifully wild countryside of Mediterranean olive groves is being filled with style-less cubic houses, quickly built in winter, and ready to be sold during the touristy summer months. In two years, the difference is more than noticeable. Puglia is known all over Italy for the beauty of the sea and its crystal-clear water. Even that is being lost too. Yesterday, we couldn’t swim in the little cove we normally go to, because of the dirt in the water. All kind of rubbish one can think of was polluting the bay: old plastic, paper, bits of cord, remains of sanitary towels, trace of oil, all man-made, nothing organic. I heard a lady standing next to me say that it was the first time in twenty years that she saw it dirty to the point of not being able to swim. For me it sums it up. The Salento is suffering from the adverse effects of fast development, which doesn’t follow any planning rules. That applies to building houses anywhere, not implementing facilities on beaches or swimming coves, not planning for rubbish collection and for cleaning beaches. That said, beaches in Italy are “contracted” to private companies which make money from running bars and renting out umbrellas and beds to holidaymakers. In return, they keep the beach clean. This way, municipalities and other public bodies do not bear the cost of cleaning them, but unfortunately, with such a system public beaches are either hard to find or dirty. In the Salento, there are more coves than sandy beaches and therefore, less space for private ventures to put their infrastructure. What everybody is interested in however is to quickly sell the plots of land and houses they own (in whatever state) to make easy money. I was told that local estate agents are corrupting the market by knocking on people’s doors to persuade them to sell whatever they have, promising unimaginable amounts for their property, which “rich foreigners” are desperate to buy! We have to remember though that until relatively recently Puglia was one of the poorest regions of Italy, and that most of its inhabitants had to emigrate to northern Europe. The hype is understandable if suddenly land is becoming valuable. However, visitors come to the Salento for its authenticity and natural beauty. If it is being lost, they will quickly shy away from it. 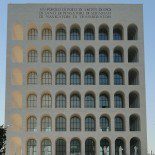 This entry was posted on July 19, 2010 by Salambo in English, Travel outside Rome and tagged business, construction, house, italy, property, Puglia, Salento, summer.